Kwazulu-Natal is home to the breath-taking St Lucia Estuary (a World Heritage Site) as well as the Kosi Bay lakes (indeed, along the coastline of this province you'll find the country's best-protected indigenous coastal forests). 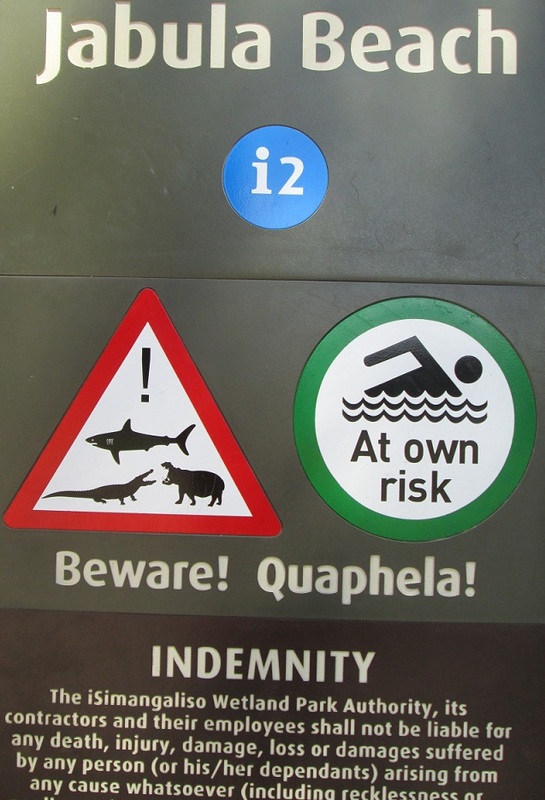 If you've got a bit of the insane in you, Jabula Beach is the only one in the world where you can swim with crocodiles, hippos and sharks - beware, people have died doing this, and we advise against! There are many game reserves, such as Mkuzi & Pinda. South of the Swaziland border (the northern part of Kwazulu-Natal) is African savanna (and several game parks which are home to the province's rich wildlife). The largest common wild fig tree (Ficus burkei) is found in Eden Park, Umtentweni. Indigenous flora includes the Common Sourberry, the Natal Wild Banana, the Forest Honeysuckle, the Forest Cucumber, the Winged Orchid, the Lucky Bean Creeper, the Blue Commelina, the Dune Sour Fig, the White Pear and the Forest hibiscus. The mainstay of the agriculture of the province is the sugar-cane plantations along the Indian Ocean coastal belt. Large quantities of subtropical fruit (e.g. oranges, bananas, mangoes) are produced along the coastal belt. As you move inland, he farmers concentrate more on vegetable, dairy and stock farming. Forestry is another major source of income (in the areas around Vryheid, Eshowe, Richmond, Harding and Ngome). Ngome is also home to several tea plantations. KwaZulu-Natal is the 3rd large mango producing province in South Africa.